Is VR something we should be keeping an eye on? Following the success of Ready Player One I have been keeping an eye out for VR and the different experiences that are already being used commercially. When I was recently at the Great Escape and I saw a seminar titled 'Melody VR Social' I knew I had to pop my head in to see what it was all about. 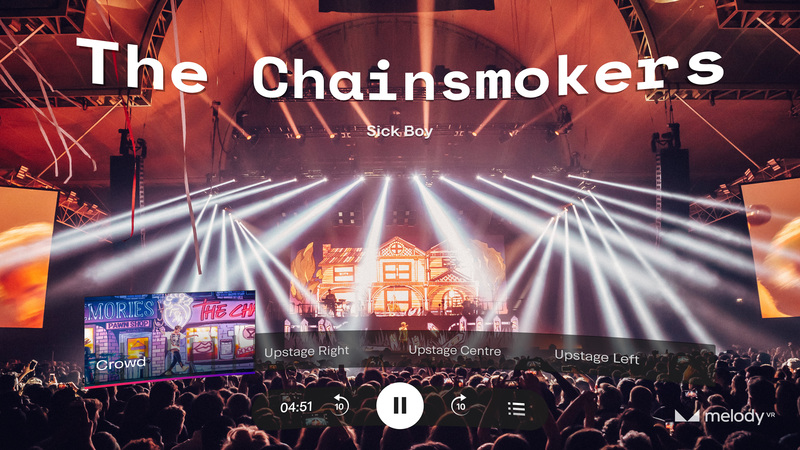 The main concept of Melody VR is that you put on the goggles and watch a gig as if you were there, there are different functions within the program such as switching your viewpoint and looking up the artist playlist. You select which option you would like to view using a handheld pointer. I took one look at the big grey goggles and thought ‘I’m gonna look like a right idiot wearing these’ but as soon as they were switched on I really didn’t care how I looked. Having never even tried on a pair of VR goggles before I was captivated by just how immersive they are. I was in the centre of a big white cylindrical room which came to a point at the top. I could turn my head and look around, it really did feel like you were somewhere else entirely. In front of me was a control panel which I could control using a handheld pointer, there was a kind of virtual laser to help you point at the screen and make a selection. You can see the setup of the screen layout below. I watched a few of the gigs from different angles, from out in the crowd where I could turn my head and watch people dancing around me. To the side of the stage where I could get a behind the scenes peek of the stage and look out towards the crowd. It didn’t feel like I was there exactly, but it was a much more engaging experience than watching it on TV or YouTube. I started to see the possibilities of Virtual Reality, and the potential of a program like this. For people who are sick and cannot make a gig, for journalists who need to review a gig, but cannot make the journey, as a prize for competition winners, the list is endless. I spoke to the guys from Melody VR and they said that they can set up a live meet and greet so you can speak directly to an artist using the VR platform. Overall I was very impressed with this product and the usability of it. 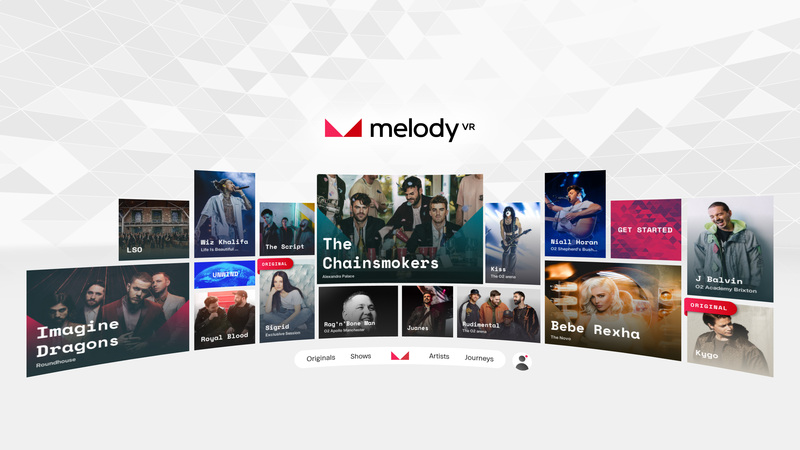 Melody VR have seen a gap in the market and made sure they are one step ahead when it comes to sharing digital VR music. I don’t think it will be too long until VR is a part of everyday life. People love apps like Instagram because they offer a sneak peek behind the scenes and into people lives. People love to see what goes on behind the big brands and artists they follow. VR could be a great way to give users access into an otherwise inaccessible world. It could also be a great way to have meetings, or to introduce a new product. The potential for marketing is huge if you have the right ideas and know how to create something special. So, in answer to my opening question, is VR something we should be keeping an eye on? I think the answer is yes. It is something we should be keeping an eye on and I think that, in time it will become an exciting marketing tool, an exciting sharing tool and much, much more.